Book direct and get the best rate and most favourable cancellation terms. We Use the World Leading Stripe Credit Card System. Stripe has been audited by a PCI-certified auditor and is certified to PCI Service Provider Level 1. This is the most stringent level of certification available in the payments industry. To accomplish this, we make use of best-in-class security tools and practices to maintain a high level of security at Stripe. Online Travel Agencies that charge an inflationary commission pass on to us all you credit card details. Our Stripe system only forwards to us the "End User" the last 4 digits of you credit card. And here you pay no commission to any American based agencies that in effect charge you to do what you can do here for free. Book elsewhere and you pay a commission. Book here and pay no commission. before you use online booking sites view this. Book Direct and Save. Pay no Booking Commission here! Personalised Experience direct with property manager or owner. Best Property information. If you have questions email us direct. Self catering - an affordable alternative to hotels. More space. More in room features. If you are reserving for 5 nights or more please email us first so we can email you your discount code. 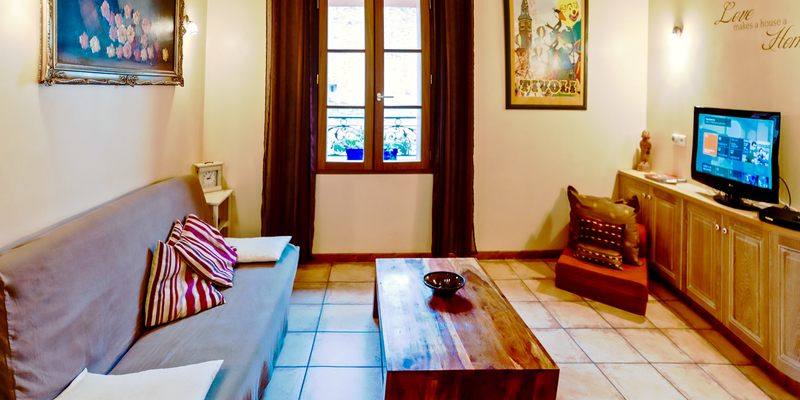 myperpignan holiday apartments are In the heart of old Perpignan. The perfect place to find your central fully equipped Vacation accommodation. 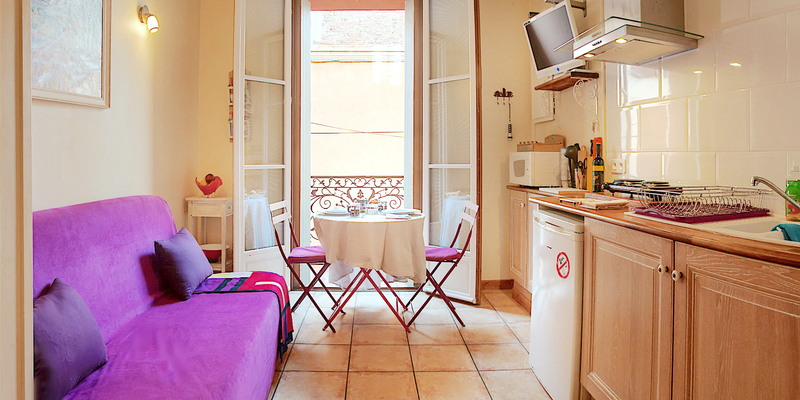 Each holiday rental flat sleeps two to four. There’s something to suit everyone. From single apartments to an entire building. You are welcome to choose from one of our seven beautiful studios, a studio with private balcony or a larger two level one bedroom apartment. 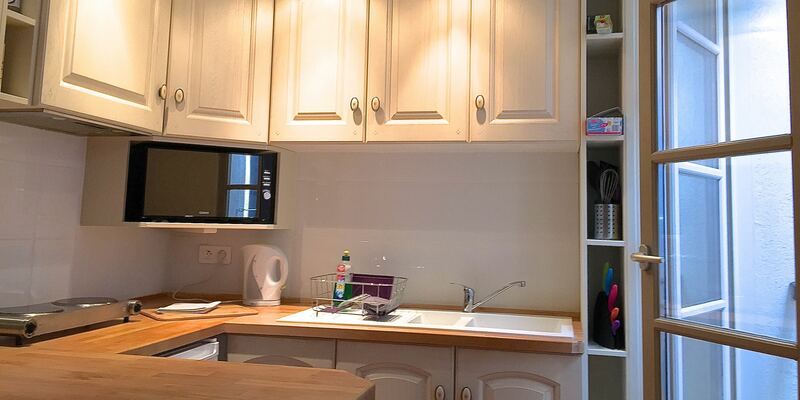 Fully equipped kitchens. Clothes washers and clothes dryers. The Studios have Satellite TV and WI FI Internet. 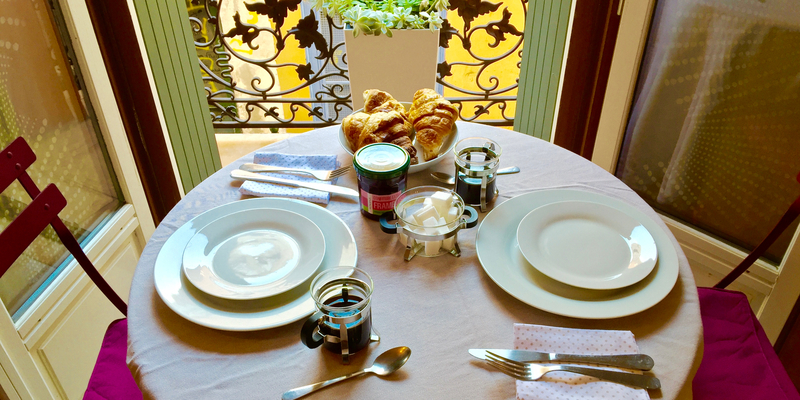 Your hosts will be more than happy to help you make the most of your visit to Perpignan while staying in our rental apartments. Each flat / apartment have maps and tourism brochures to get you set for a wonderful catalan vacation. To see what’s near myperpignan just click here for information about day trips and things to do and see while here in Perpignan. Our aim is to assist you in having an affordable visit and stay with us here in the south of France. Designed for the business traveller or those seeking a South Of France vacation. 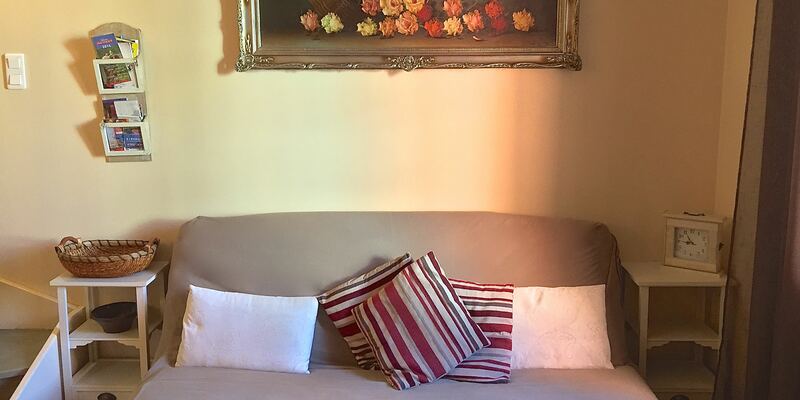 Our Perpignan accommodation is located in central Perpignan. Just a few minutes walk from your apartment lies the Spanish Citadel enclosing the Palace of the Kings of Majorca. A structure from the 13th and 14th centuries. 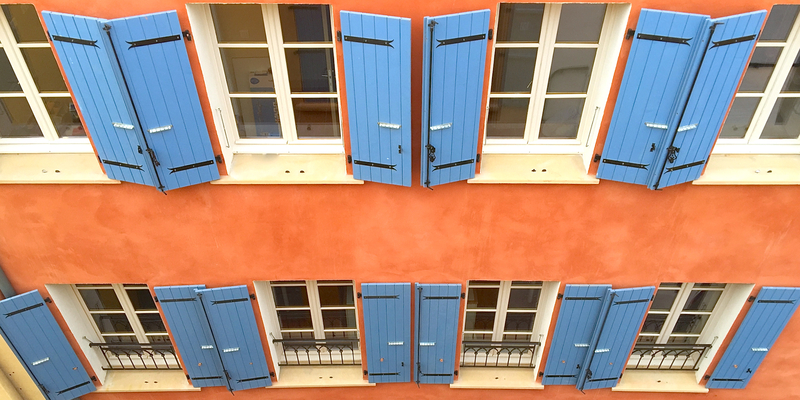 Perpignan will delight you with its numerous restaurants galleries and festivals. Excellent Local Produce markets at Place de la Republique is just a few minutes by foot. This market offers fine wine and food from the region at very reasonable prices. The huge weekend market is a short walk in the other direction. Here you will find everything from clothes to food and antiques. If you require car parking please let us know. Don’t forget there are promotional accommodation rates offered for long stays and for stays in our vacation rental apartments during winter. All in the heart of Perpignan.